Summer is almost here! The weather is warm, the birds are singing, and little fawns are dancing through my yard. It’s the perfect time to enjoy nature hikes with your preschoolers. Nothing is worse than trying to drag a preschooler on a 5-mile hike. They energetically dash around the first mile. The second mile is a bit slower. By the time you’re into the third mile, your preschooler is shuffling, whining, and begging for you to carry them. And that’s not even thinking of the misery during the last mile of the hike! Start slow. Begin with short hikes that are only 1-2 miles in length. 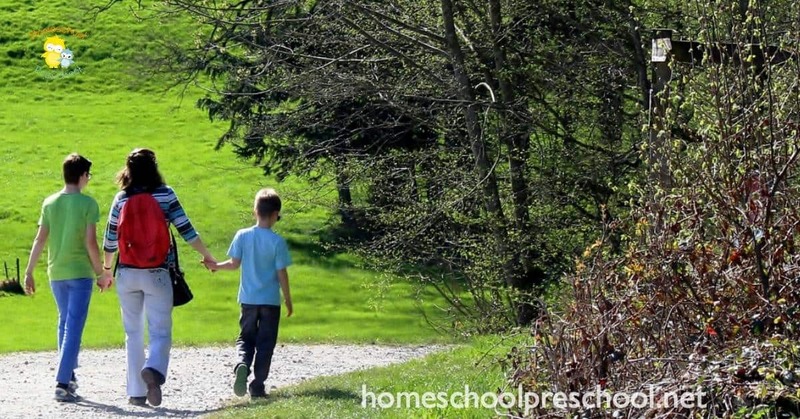 Your preschooler will have the energy to dash around the entire hike without shuffling, whining, or begging. Over the summer you can increase the length of the hikes to 2-4 miles. Keep in mind your little one won’t be little forever. Soon they’ll be dragging you on 5-10 mile hikes and begging for more! Time isn’t the same for kids as it is for us. Along with keeping to shorter hikes, plan an entire morning or afternoon for your hike. 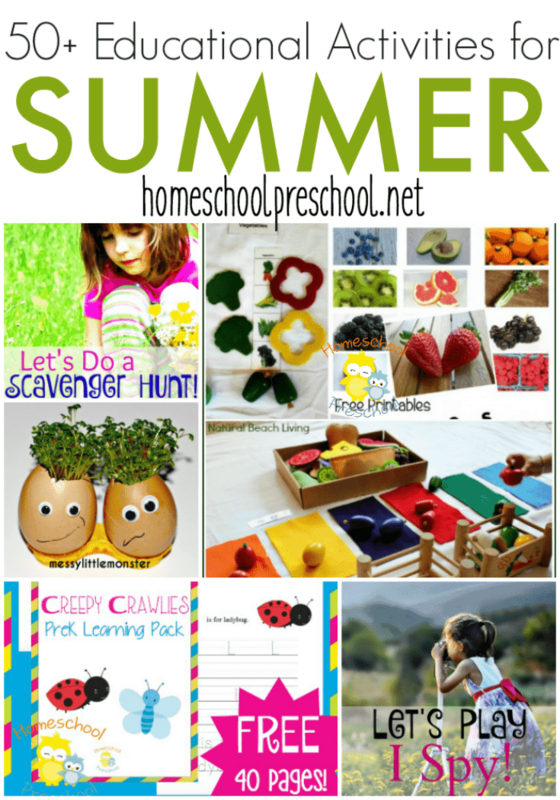 Your child will want to throw rocks in the pond, splash in the puddles, and pick the flowers. You’ll spend time watching the grass grow, the birds swim, and trying to catch a frog in the river. The goal of a nature hike isn’t to hike and check it off your to-do list. It’s to introduce your preschooler to nature. Watch the clouds, chat about the rabbits, and examine the leaves. Leave your timetable at home. Nature hikes are best repeated again and again and again. Last year my kids and I walked around a local lake almost every week. During the late winter, we saw ducks arrive, bushes budding leaves and felt the chilly air. As spring progressed we watched ducks pair off, examined new leaves, and enjoyed the warmer air. Later as we meandered our way around the lake, we saw flowers on the berry bushes and turtles sunning on a log. The ducks had disappeared. By summertime, the kids were munching on blackberries while watching baby ducks swimming in the lake. Repeating the same hikes throughout the year gives children an appreciation for the changing season. They see the bushes change, the birds grow, and the flowers bloom. So don’t worry if there are only one or two hikes short enough to enjoy with your kids. Kids enjoy seeing the changes as the seasons pass. As you enjoy your nature hikes, pick one native plant to learn each month. A plant a month gives you time to learn about it and search for it on your hikes. Have fun studying the native plant. Memorize the various names, draw it, and pick a sample to dry. 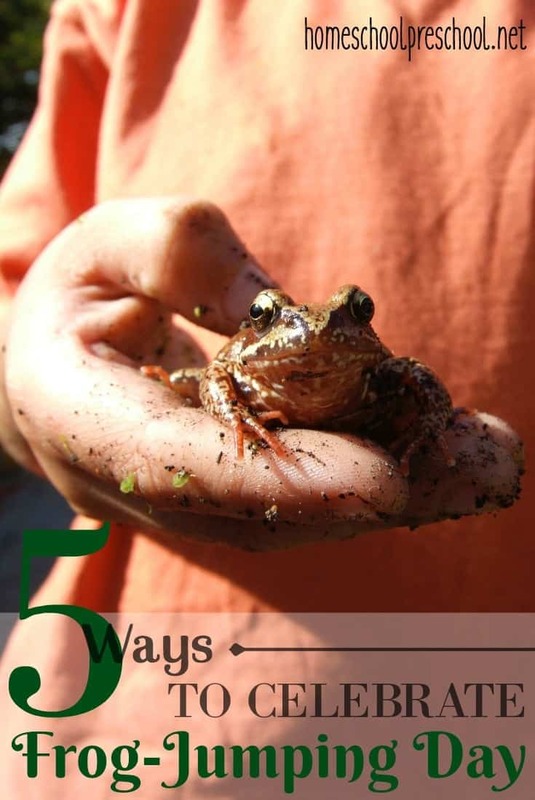 Your kids will love recognizing the local flora as they hike around the county. And even at the slow rate of one plant a month, you’ll gradually build a large knowledge base of the native plants of your area. Nature hikes are best enjoyed every week. Plan on heading out as a family on a nature hike Saturday mornings or Sunday afternoon. Regular hiking will build endurance so the family can enjoy longer hikes in the years to come. You’ll make beautiful memories of hiking around your county and build strong family bonds. A weekly hike is perfect for a young family. 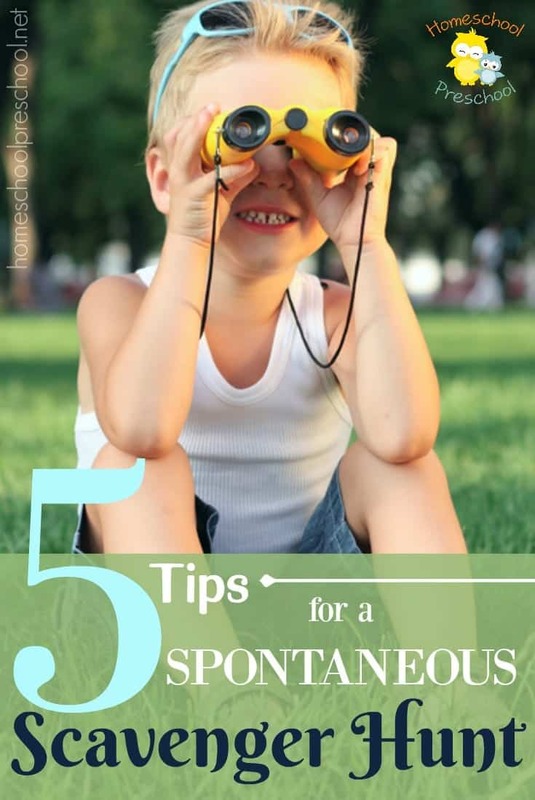 The entire family will enjoy nature hikes if you remember to start small. Head out every week and watch the changing seasons as a family. 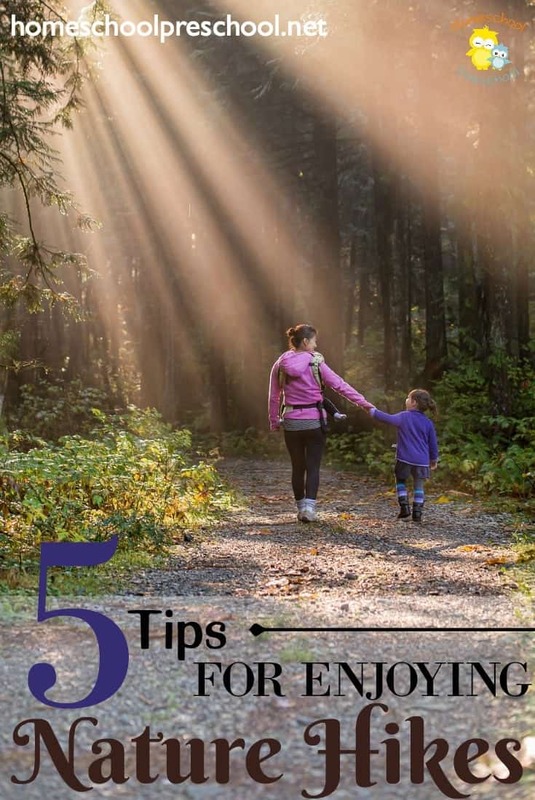 Do you enjoy regular nature hikes as a family?